With fruit ripening almost everyday down on the allotment, it’s time to get creative in the kitchen! I don’t always have masses of time to make jams so I’ve been experimenting with quick to make recipes, which are super tasty and make the most of all the wonderful seasonal fruit. 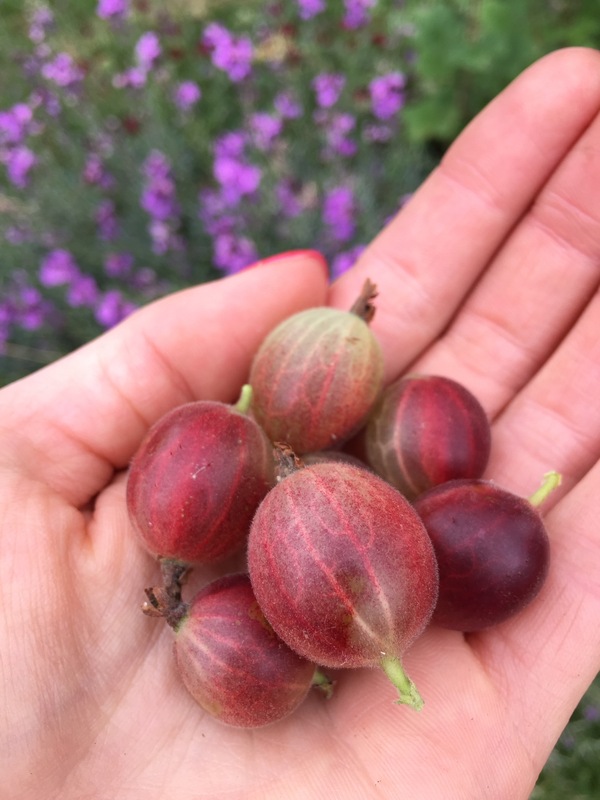 Although we’ve had gooseberry bushes on our plot for several years now, this is the first year we’ve had a crop, so cooking with gooseberries is new to me, so I was slightly apprehensive. 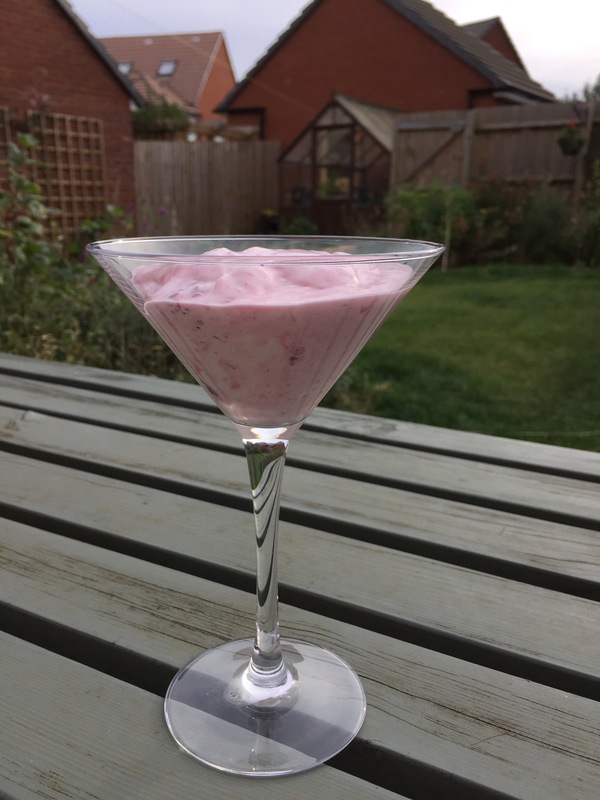 As a first recipe, gooseberry fool was ideal, it’s fool proof! Remove top and tails from gooseberries, rinse and place in a small pan with caster sugar and a sprinkle of water. Simmer until the berries have burst and help them. Mash the mixture to break up larger berries. Poor into a bowl and cool in the fridge. Whilst the fruit mixture is cooling, put all remaining ingredients into large bowl and whisk with an electric hand whisk until it begins to thicken. It needs to be thick, but not stiff. Once the gooseberries have cooled fold into the cream mixture to create a gooseberry ripple effect. 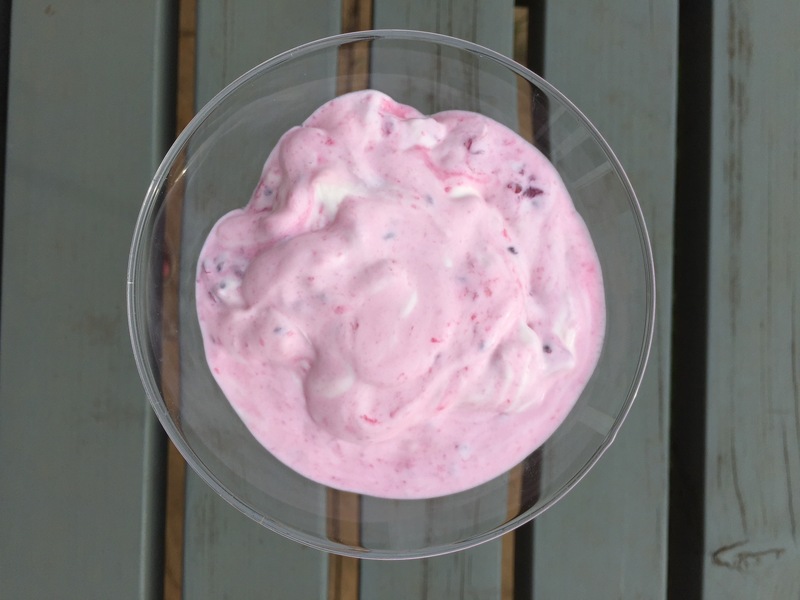 Spoon into your serving dishes and pop in the fridge until your ready to eat. Top with a couple of raspberries if you have any spare.